Bryan Nagy, marketer pondering social media, digital media, advertising, and communications. The watchmaker Timex joins the ranks of brands using Pinterest as an integral part of their online marketing. Like many, Timex has decided to host a Pin to Win contest on Pinterest, in hopes to increase followers, engagement, and sales. 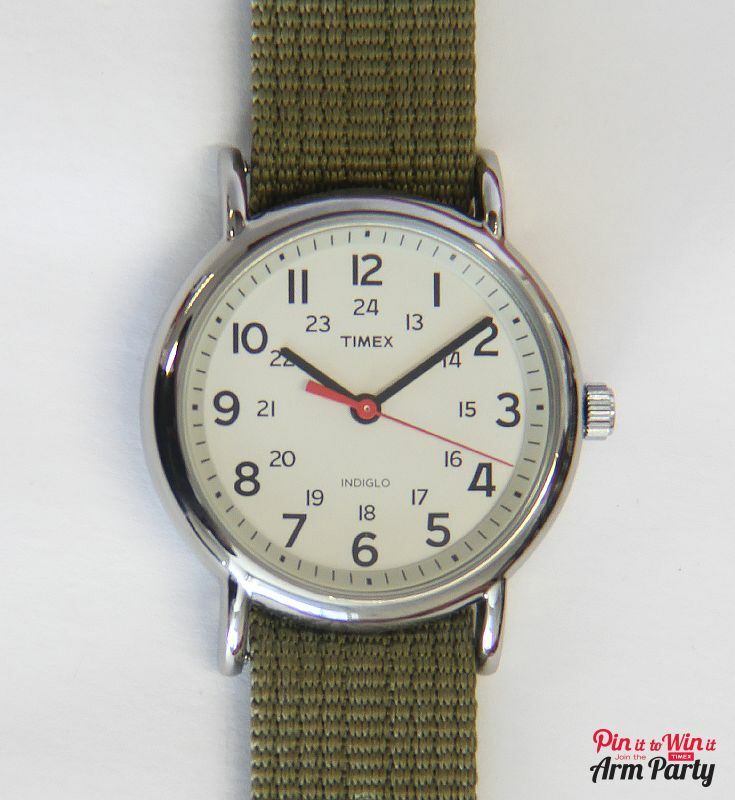 The Timex Pin to Win Pinterest contest lives on Pinterest and Facebook. People must first create a board on Pinterest dedicated to Timex. They can pin Timex products they love, or choose from a special Pin to Win board on Timex’s Pinterest page. Once they’ve pinned all of their desired content on the page, participants must enter the contest via a special section of the Timex Facebook page. Here they enter their name, email, and URL of the Pinterest board they created. Participants had to submit their Pinterest entry via Facebook. 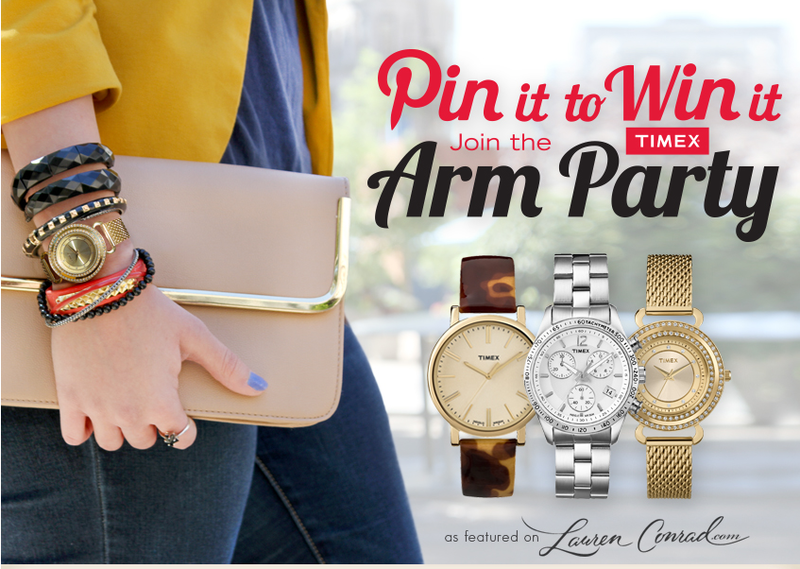 The winner of the Timex Pin to Win Pinterest contest wins a featured Timex product and a $100 Visa gift card. Timex is smart to make Pinterest a part of their marketing plan, and to increase engagement on the platform with a contest. The board specific to the contest is well-done, specifically stating what the winner receives and when the contest ends. Many contests fail to state these rules in the description of the board, and instead make them a pin hidden somewhere within the board. Timex also placed text specific to the contest on each of the pins they made to the board, ensuring that with each repin users were notified of the contest. 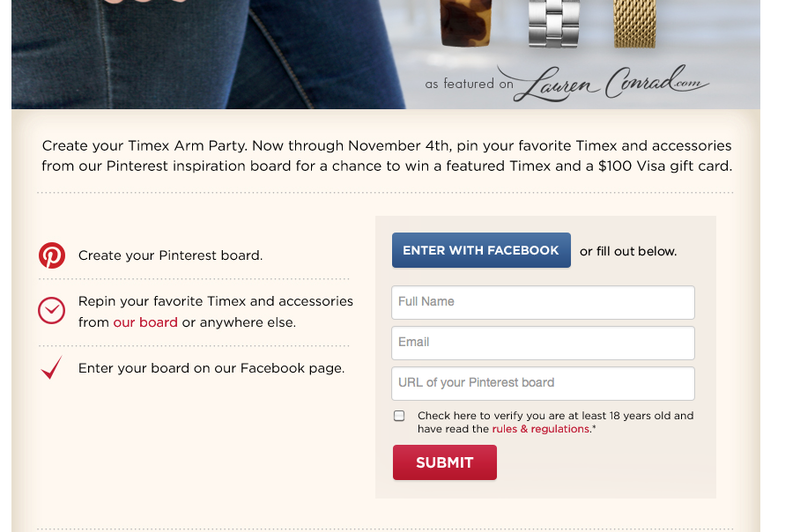 Timex missed out big time by not linking the photos pinned on their Pin to Win Pinterest board to an e-commerce site. With hundreds of repins and high engagement, the only thing exposed to users is the brand name, and not the potential to actually purchase the product. What does a user do if they see a watch they truly love? Scour the internet instead of simply clicking on the pin, likely limiting the actual ability of finding the exact watch they fell in love with. Timex did things right by placing contest-specific text on their images, but missed out by not linking the photo to e-commerce. Pinterest also missed out on the male market that is on Pinterest, as all of the pins specific to the contest are female watches. Timex has become a big name in the male fashion world, being sported at stores like Nordstrom and J. Crew. Subscribe! Just enter your email address! Bryan Nagy is a digital media and marketing communications professional with a passion for the online world, including social media sites such as Twitter, Facebook, and LinkedIn, mobile advertising, video advertising, and display advertising.